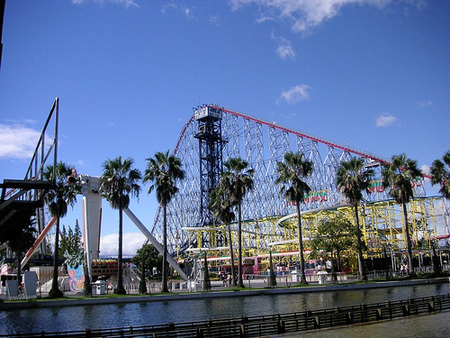 If the roller coasters at your local fair just aren’t exciting enough, Steel Dragon 2000 and Kingda Ka should do the trick. Continue reading for more. Click here for first picture in gallery. 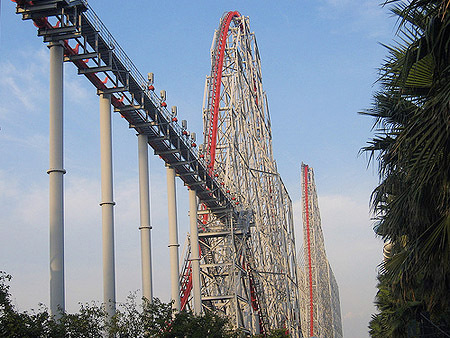 Steel Dragon 2000, located at the Nagashima Spa Land Amusement Park in Mie Prefecture, Japan, is currently the world’s longest steel roller coaster, with a track length of 8133-feet. 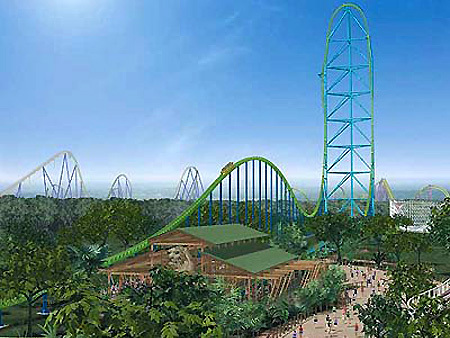 Kingda Ka at Six Flags Great Adventure is currently the “world’s tallest and fastest steel roller coaster”. Costing a hefty $25-million to build, it goes from 0-128mph in just 3.5-seconds (1.67g’s) — powered by a 20800 horsepower hydraulic launch motor — and the steel track peaks at a daunting 456-feet.